The much awaited Suriya’s 24 movie is all set for a grand release tomorrow. The film is directed by Vikram Kumar of Manam fame. The first teaser and trailer of this film gets a tremendous response from the audience. All Surya’s fans and movie lovers eagarly waiting to watch the movie on big screens. 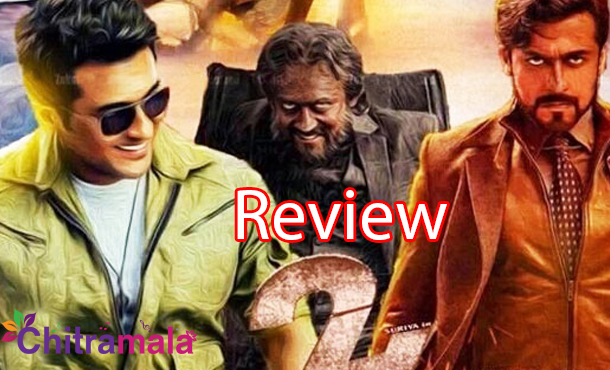 Meanwhile’s here is the first review of Suriya’s 24 movie given by Umair Sandhu. The movie releasing in Both Telugu and Tamil versions. As per the reports 24 movie is a best Science Fiction Thriller ever made in the History of Kollywood. Suriya will be seen a triple avatar in this flick. Samantha and Nithya Menon playing the female lead roles opposite Surya in the movie. One of the editors of Indian Cinema Magazine UK & UAE, Umair Sandhu who is also a Member of UK Censor Board, Indian Movies Boxoffice Expert & film Distributor in Middle East & UK shared her review of 24 movie. #‎Endhiran‬, ‪#‎Baahubali‬ & Now ‪#‎24TheMovie‬! South Movies are ROCKING Big time. ‪#‎Suriya‬ Hatsoff to u ??? 5*/5* ☆☆☆☆☆ ! Strongly Recommended to all of u. Sure Shot Blockbuster.